The Antrak® platform, dedicated to Antalis paper, Visual Communication and Packaging’s suppliers, aims to strengthen traceability and responsibility of the Antalis supply chain. 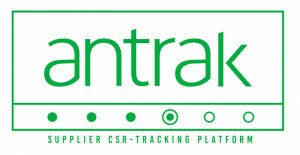 By collecting together exhaustive information on suppliers’ global Corporate Social Responsibility, products regulatory compliance data (including full traceability) and associated manufacturing sites certifications, this tool puts Antalis at the forefront of sustainable supply chain management and brings customers full guarantees on the responsibility behind its products orders. By collecting, centralizing and assessing comprehensive information on supply chain traceability, Antalis is not only in a position to provide its customers with robust CSR credentials; it also facilitates strong, transparent relationships with suppliers. They in turn benefit from the platform by having the opportunity to gather together information that is often scattered across their organisation. Antalis is the only paper merchant to have implemented such a complete socio-environmental data collection and tracking platform. The information gathered is then verified for coherence and a due dilligence integrated module identifies any potential risk linked to a supplier, (from the tree species used in the product to the country of origin). An internal committee is then in charge of taking any action to mitigate the identified risk.